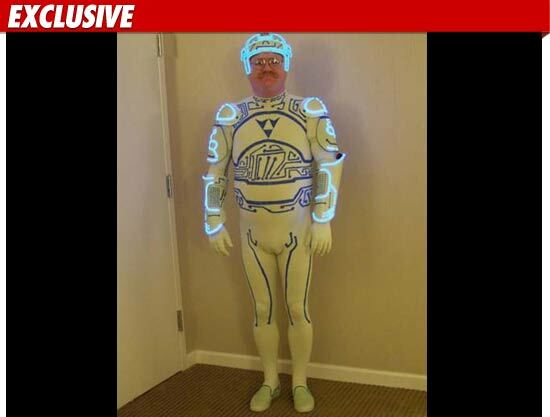 This guy sure loves TRON. Tons of new stuff for Dust Tactics coming in March. I've added our gaming schedule to the right. What do You Want for Christmas, Gamer? It's the holiday season. As a gamer, what do you put on your Christmas list? Answer? Games, geek swag, sci-fi/fan DVDs and comic books. 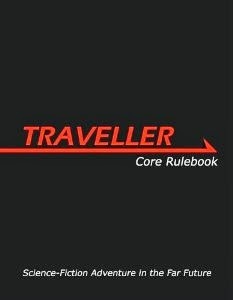 Lone Wolf RPG books AND the reissuing of the first solo adventure book. ...Is hoping for ANY game because he just wants to know somebody cares about him. ...Is just hoping he dad doesn't get him ANOTHER copy of Candy Land or Chutes and Ladders. I mean, Lord of the Rings Candy Land last year was a bit over the top. The Keystone Gaming Society wishes that your holiday season is a critical hit and that you get a lot of great swag to keep you gaming. After the last hard fight, the players decide to retreat out of the dungeon, and camp in the cave outside the doors. On their way out, they notice that the kobolds they killed have been placed ceremoniously in one of the alcoves, and kobold footsteps can be seen leaving the dungeon. The kobolds have had enough, what with both the dragon and their priest dead, and decided this place was no longer sage and hoofed it. After checking on the horse (safe as houses), they cold camp for the night. Nothing too strange, although Dayereth thinks he sees a shadow figure fly through the cave but decides not to investigate. The next morning, the adventurers head back in to the complex, checking through a couple rooms once occupied by the kobolds. They hear scratching at a door and open it. A guard drake, left behind, jumps out and attacks. Bang! Pow! One very dispatched guard drake. Harlok, in a bit of a hurry, runs through the dungeon, and the rest of the party try to keep up. They come to a room set up in a chessboard-like grid, complete with very large chess piece statues of three pawns, a rook, a knight, and a queen. It's wizard's chess, Harry! The players quickly learn that if you don't move like chess piece, you are badly shocked and move back to the square you started. They also learn that NOT moving like a chess piece greatly upsets the very large statues, who come to life and attack our fearless heroes. The PCs quickly adapt to their odd situation, using the strange magic of the room to their advantage by forcing the chess pieces to magically move in Non-chess style. Ouch! They don't like that! After several intense moments of gritty combat, there's a lot of shattered statuary in the room, and the players move, chess-style, to the door on the opposite wall. Harlok is about to open the door when a mouth and eyes appear. Malareth's voice is heard. "Fools! I don't know what you thought to accomplish by killing the dragon and running off my kobolds, but you won't stop me. Not when I'm so close! After months of preparation, the gate to the Shadowfell will open and the world will bow at my feet. The world of the dead and the world of the living will now be one, with me as its ruler! (With a little help from Orcus). Mwahahahaha!" The PCs attempt, badly, to parlay with Malareth, but finally Harlok breaks in the door. Inside are several zombies, including one that looks like it was once an ogre. "Zombies, attack! Kill the intruders, then bring the corpses to me, so that I may reanimate them to do my bidding. That calls for a second Mwahahahaha! Now, how do I turn this off? Let's see, press Star, Pound, Enter, Close meeting. Aah, there we are." Click. Mr Grimes, taking a page from the Harlok fighting handbook, charges in and attacks the hulking zombie, barely scratching it. A ham-fisted smash from the hulk sends Grimes reeling backward. Falin also charges in, and calls forth a magical blast that knocks the zombie into the back wall. He is then quickly surrounded and grabbed by the zombies, who start chewing on him. Dayereth blasts one zombie with magic, and the great axe of Harlok begins its deadly work. Falin escapes the zombie's grasp and, calling on the power of his god, sends one of the dreaded undead back to the Shadowfell. Soon all the zombies are dead (again)! They now hear strange chanting coming from the next room. A chill wind whips through the room and the adventurers realize that the spell to open a door to the Shadowfell is being cast. They race toward the next room and see Malareth's laboratory, complete with all the accessories a working necromancer needs: chemicals, beakers, bones, rotting flesh, Necronomicon, and a wraith and three skeletons. The necromancer's chanting is working, because a circular void is coalescing, forming a door to the netherworld. But the PCs are fearless. Grimes launches himself toward Malareth, tumbling acrobat-style and stabbing Malareth in the back. "Aargh, my spell is ruined. Ooh, you're gonna get it, mister!" He shoots a blast of necrotic energy at the PCs, causing much damage. Meanwhile, the wraith has gotten out it's soul-sucking straw and is slowly draining the energy out of Falin. But Dayereth's and Falin's magic and the chopping of Harlok's axe prove too powerful, and the wraith is destroyed, along with the minion skeletons. Grimes shoves his longsword through Malareth. "NO!" he screams. "Orcus, avenge me!" But Orcus is kinda busy and misses the call. The players have won again. They immediately decide to loot the bodies, take all the crap out of the abandoned temple that they find, and sell everything they find that ain't worth keeping.